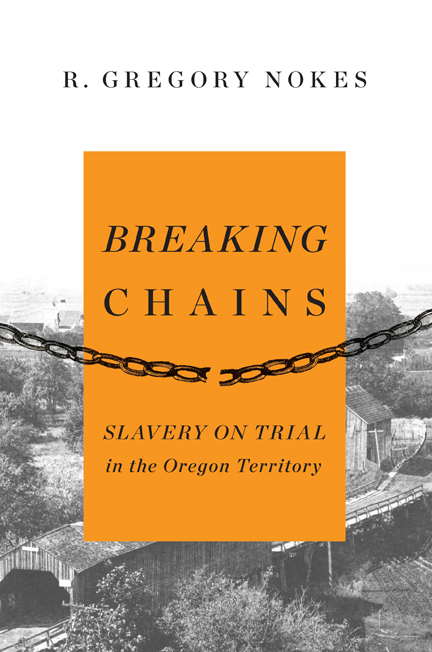 We’re pleased today to share an excerpt from R. Gregory Nokes' new book, Breaking Chains: Slavery on Trial in the Oregon Territory. We invite you to join the author at upcoming author events in Portland and beyond, including this Sunday, May 19 at the Oregon Historical Society; June 4 at Powell's Books; June 13 at Broadway Books. For a complete event list, visit www.breakingchainsbook.com. There are two versions of how Robin and Polly Holmes, both Missouri slaves, came to Oregon. One, told by Robin Holmes, is that his owner, Nathaniel Ford, persuaded him to come in exchange for his freedom. The other, told by Ford descendants, is that Holmes begged to come and Ford brought Holmes—and Holmes’ wife and children—against his better judgment. Whichever version is correct, and certainly Holmes’ version is most believable, the family of slaves joined a wagon train of fifty-four wagons in 1844 for an eight-month journey along the Oregon Trail from Independence, Missouri. It was among the first emigrant wagon trains to leave for Oregon, and Robin and Polly Holmes would be among the first African Americans to live in Oregon. (1) They brought their three small children, and settled with the Ford family in what is now Polk County. Years later, Holmes and Ford would face each other in a landmark court case that would help shape Oregon’s policy toward slavery and slaves. The case was a habeas corpus suit brought by Holmes against Ford in 1852 seeking custody of his children, who Ford tried to keep. A remarkable feature of the case is that it provides a rare written record of the relationship between a slave-owner and a slave—from the slave’s point of view. Just as remarkable is the fact that a former slave managed to hold his own in a fourteen-month legal battle, which no judge seemed to want to decide. Holmes patiently stood his ground as the proceedings plodded through several Oregon courts before four different judges, at least one of whom appeared biased in favor of Ford. Holmes would demonstrate during the court battle—and also in his later life in Salem—a determination to struggle for personal justice in the face of overwhelming odds. Like most slaves, Holmes was unable to read or write—it was against public policy in Missouri and throughout the South to educate a slave. (2) Nevertheless, aided by sympathetic attorneys, Holmes mounted a credible case against Ford, one of Oregon’s first settlers, who was prominent in Oregon politics. Ford served in the territorial legislature and was appointed the region’s chief judge in 1845, although he declined the office. Moreover, Holmes faced the added burden of taking on a slave owner in a farming community known to be sympathetic to slavery, and at a time when Oregon’s own position on slavery, while technically outlawed, was still in flux. To say Oregon came close to becoming a slave state would be an exaggeration. But not a wild one. There were influential leaders who wanted Oregon open to slavery. And there were those like Ford who wanted to, and did, keep slaves. There were probably never more than fifty slaves in Oregon, a number that pales in comparison with Missouri’s total of 114,965 slaves in 1860, and the national total of 3,949,557. (5) And, in Oregon, slaves had an opportunity to gain their freedom, an opportunity denied them in slave states. Still, many may be surprised to learn there were slaves in Oregon at all. I learned of the Holmes family while researching the background of another Missouri slave, known as Reuben Shipley. I had recently discovered in a long-unread family genealogy that I am a shirttail descendant of the man who “owned’’ Shipley and brought him to Oregon. (8) I was less than pleased to learn of this, and sought to know more. I was soon to discover that Reuben Shipley put his own important stamp on race relations in present-day Benton County, where, after receiving his freedom, he owned a farm near the small town of Philomath. The lives of Reuben Shipley and Robin Holmes would intersect in later years, another of the several compelling stories involving these two former slaves, both unschooled, both of whom signed their names with X’s. 1 The first known African American in the Oregon Country was believed to be Marcus Lopez, a native of the Cape Verde Islands and a cabin boy on Robert Gray's Lady Washington. According to Elizabeth McLagan in A Peculiar Paradise, the ship dropped anchor on August 14, 1788, near Tillamook. While ashore on August 16 to get provisions, Lopez was killed in a dispute with Native Americans. The second African American was believed to be York, a black slave who traveled with the Lewis and Clark Expedition in 1805. Others had come too, including several with the Peter Burnett wagon train in 1843. 2 An 1847 Missouri law was typical. It assessed a penalty of up to $500 and six months imprisonment for anyone who who would "teach or keep any school for the instruction of any negroes or mulattoes in reading or writing...." Trexler, Slaves in Missouri, 1804-1865, 83-84. 3 Woodward, "Rise and Early History of Political Parties in Oregon III." Oregon Historical Quarterly, 145. 4 Schneider, Black Laws of Oregon, 31. Schneider based his judgment in part on editorials in newspapers throughout the country as reported in the Oregon Statesman on June 8, 1857, 2-3. The New-York Tribune, described by the Statesman as a "frantic abolitionist sheet," said in an undated editorial: "We have a number of letters from Oregon, by the last mail, containing the startling information that this Territory hitherto sat down as a certain for Freedom, will, in all probability, present herself to the next Congress for admission into the Union with a constitution legalizing slavery." 5 Trexler, Slaves in Missouri, 4. Also the 1860 U.S. Cenusus, which listed no slaves in Oregon, overlooking local census takers who officially listed at least three slaves; other known slaves were idenitfied as laborers or servants, or not listed at all. 8 Junkin, The Henckel Genealogy, 359. R. Gregory Nokes is the author Breaking Chains: Slavery on Trial in the Oregon Territory and Massacred for Gold: The Chinese in Hells Canyon, an Oregonian Pacific Northwest “Top 10” book. He travelled the world as a reporter and editor for the Associated Press and The Oregonian. 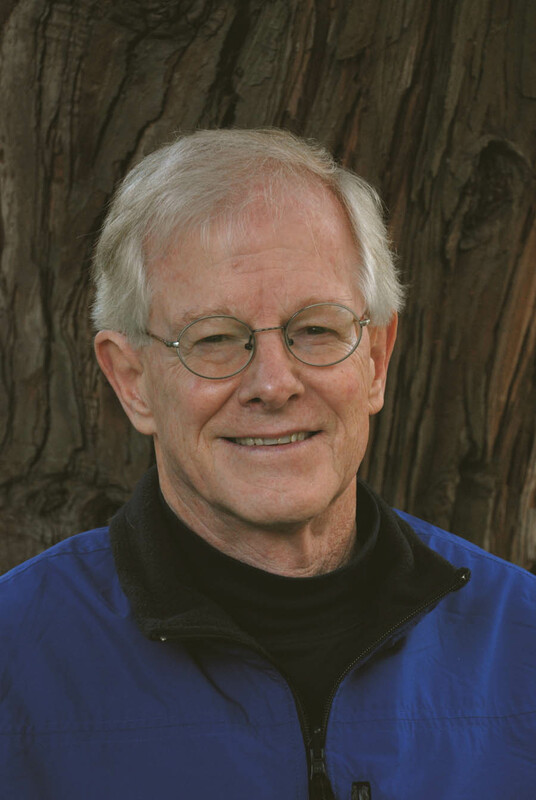 He is a graduate of Willamette University and attended Harvard University as a Nieman Fellow. He and his wife, Candise, live in West Linn, Oregon.